Liquid filler model AP-100j is ergonomically engineered by implementing best available techniques and using high quality components. 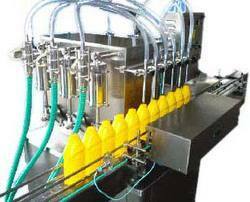 Semi Automatic Pneumatic Liquid Filling Machine with double nozzle. Fills 100-1000ml liquid product in bottle. Suitable for Beveragese filling, Oil filling etc. Semi Automatic Liquid Filling Machine. We are one of the prominent manufacturers and suppliers of superior quality Volumetric Filling Machine. 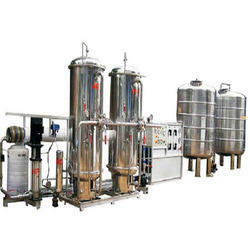 These machines are widely used for filling liquids from low to high viscosity. We manufacture these machines as per the international standards and norms using superior quality raw material and advanced machines. We are one of the foremost firms of Mineral Water Bottle Filling Machine. Besides, we present this product at nominal rates to our customers. De-foaming & Oil filling system.